This multipurpose moisturizer gives you the flexibility for a 24-hour routine. Provides all-day-and-night moisturizing repair. 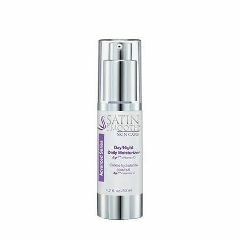 Satin Smooth Day/Night Daily Moisturizer is enriched with Axp33â„¢ + vitamin C to help diminish the appearance of fine lines and wrinkles for smoother, brighter and more radiant skin.